Set to be played on the new outdoor hard courts at Parque Parota, the Puerto Vallarta Open will have a prize of $75,000 USD and ATP ranking. For more information please visit the Facebook event page. Puerto Vallarta, Mexico - After much effort and teamwork, the Puerto Vallarta Trust, in conjunction with the Jalisco Secretary of Tourism, PV has been put on the Association of Tennis Professionals' 2018 Challenger Tour calendar. 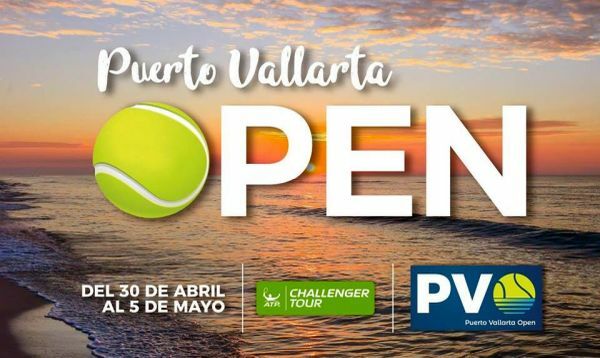 The city will be hosting the first edition of the Puerto Vallarta Open from April 30 to May 5. Set to be played on the new outdoor hard courts at Parque Parota, the Puerto Vallarta Open will have a prize of $75,000 USD and ATP ranking. It will be played on a hard surface with a best-of-three format in single and doubles matches. The venue is easily accessible, and the courts were built to accommodate the tournament and the international requirements of the ATP. Puerto Vallarta has a long history with the ATP. It held its first Challenger in 1994 and hosted tournaments for the ATP Challenger Tour and the Women's Tennis Association (WTA) from 1996 to 1998. International Tennis Federation (ITF) Futures Tournaments were held in Puerto Vallarta from 2000 to 2010. Tennis legends such as Martina Navrátilová, Billie Jean King, Vasek Pospisil and Santiago González Torre have played here. Puerto Vallarta is a dream tennis destination for tennis buffs and beginners. There are ample opportunities to learn or practice the sport in several of the destination's resorts and hotels. Clinics and individual instruction are available. For more information about the Puerto Vallarta Open, please visit the Facebook event page or contact Alejandra Martínez Rizo at alejandra(at)macorinalab.com. Parque Parota is located at Avenida Francisco Medina Ascencio LB S/N, Fluvial Vallarta. Click HERE for a Goggle map. Puerto Vallarta Tourism Trust press release translated & edited by Ricardo Acerco for BanderasNews.com.